Arquebus seeks to express the resilience and dynamism of human ability through design. 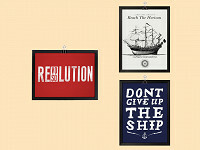 These bold and expressive prints convey inspirational messages rooted in history, philosophy, and life. Founder and entrepreneur Daniel Eshue started Arquebus in 2011. The name Arquebus is derived from the Dutch word haakbus referring to a muzzle-loaded firearm that was used in the 15th to 17th centuries. David chose this brand name as a metaphor for the loaded messages that his products carry. These thought-provoking prints are meant to stimulate the mind with its well-crafted message and visual appeal. With styles ranging from contemporary to vintage, Arquebus prints reflect ways of thinking in order to live life to the fullest. Arquebus seeks to express the resilience and dynamism of human ability through design. 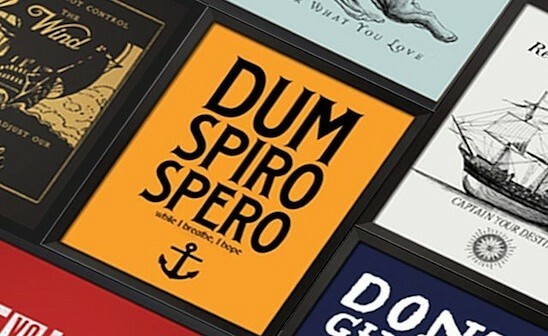 These bold and expressive prints convey inspirational messages rooted in history, philosophy, and life.